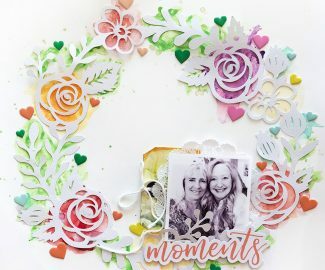 Hello Pinkfresh Studio friends! 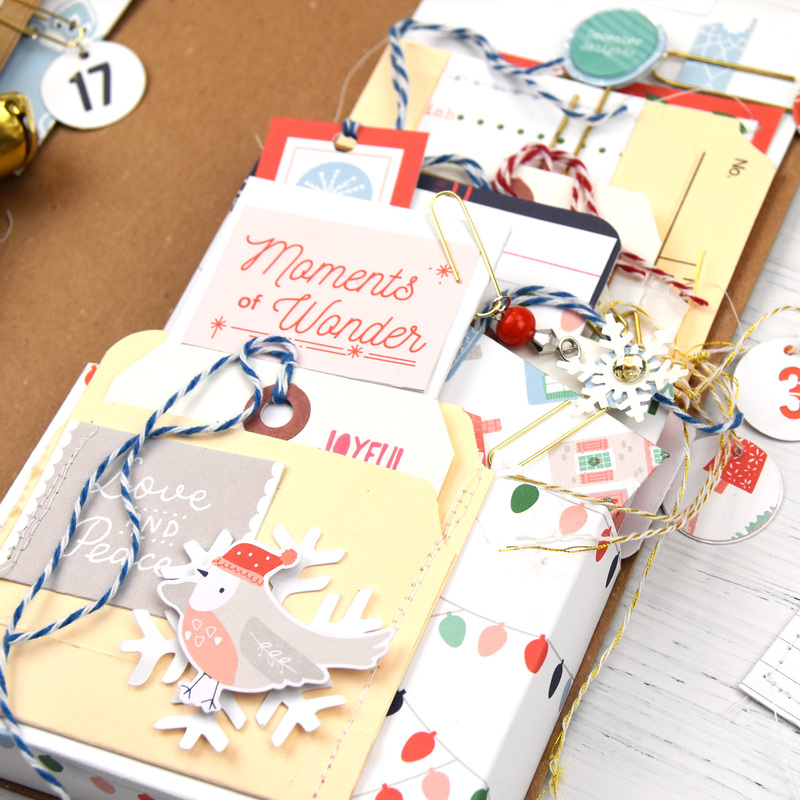 Lorilei here today sharing a book full of wonderful Holiday Vibes! 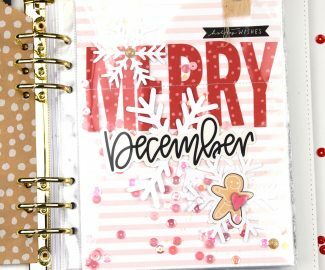 If you document your December, the time is coming soon! 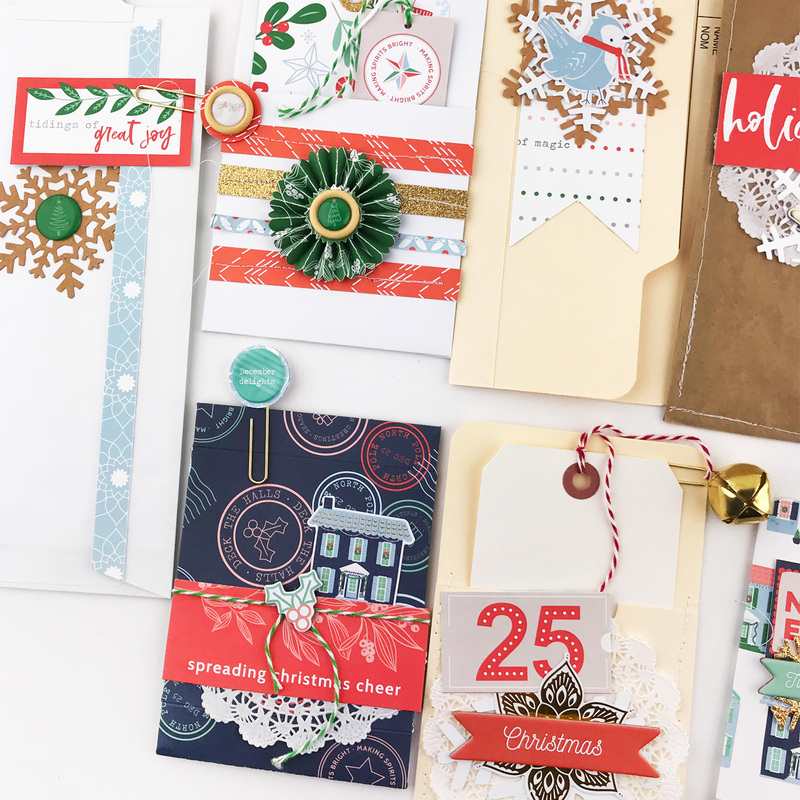 I thought it would be fun to make library card holders, envelopes and tags with Pinkfresh Studio’s Holiday Vibes collection as an interactive way to document! I started by scoring a 12×12 piece if cardboard I had on hand. The finished book measures about 9 1/4″ tall by 5″ wide with a 2″ spine. 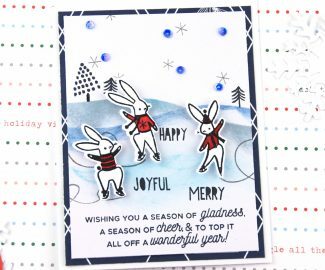 Next, I used the Seasons Greetings paper to make two pockets to hold the pieces. I knew I wanted them to be about a 1″ deep so I did some scoring and folding and once I had what I wanted I adhered the pockets to the inside front and back cover. I didn’t plan the sizes of all the tags and pockets, but I wanted them to be different heights so they would stack up. The smallest envelope is about 2″x3,” and the largest is a business size mailing envelope. I made every height in between! 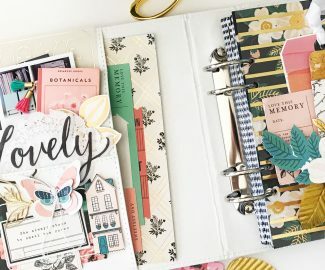 All the pockets and envelopes stack nicely in the album pockets, and there is still room to add notes and photos inside the pockets and envelopes as the days of December come! 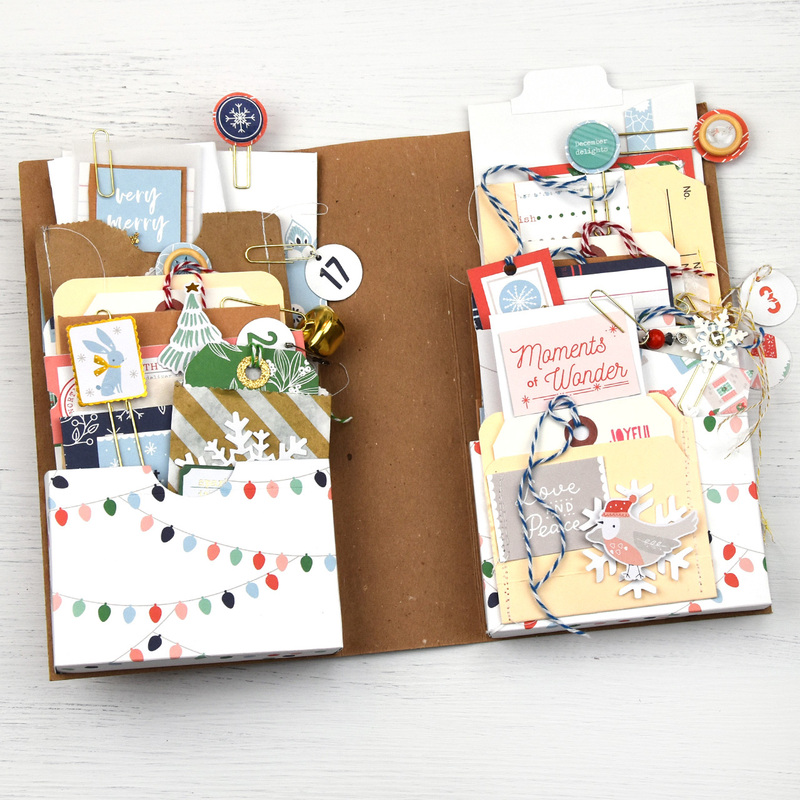 I added one of the pockets with the sweet bird die cut on top of the right side pocket of the album. In this view, you can see the room inside the album. 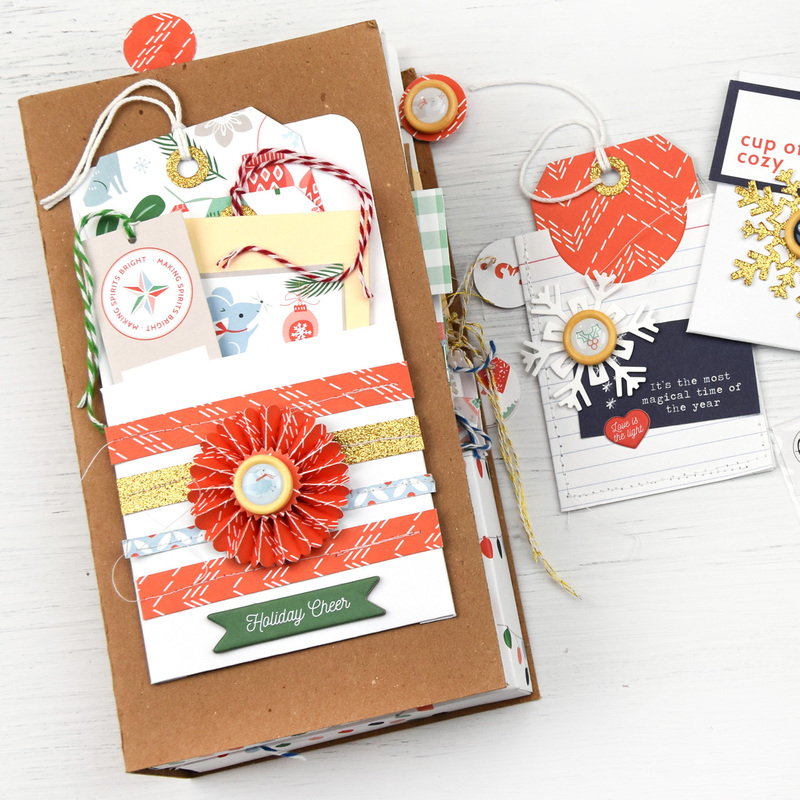 I was able to add a large bell and plenty of clips and wood buttons from the Holiday Vibes collection. I made a few number tags that are attached to paper clips so they can be added to any of the pockets or envelopes that are relevant to that specific day. 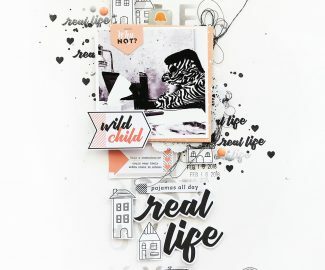 I used the My Life Month Tags (Design ID #50615) from the Silhouette store. 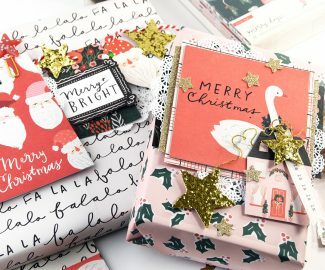 The Very Merry paper is what inspired me to begin with for this project. 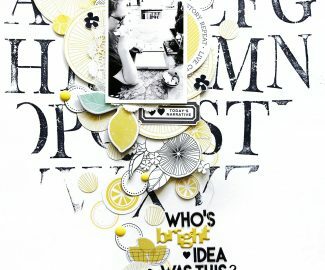 I loved the tags on the cut apart sheet and used all but 3 of them! Some are made into tags with strings and tucked into pockets and others I added to the front of envelopes. 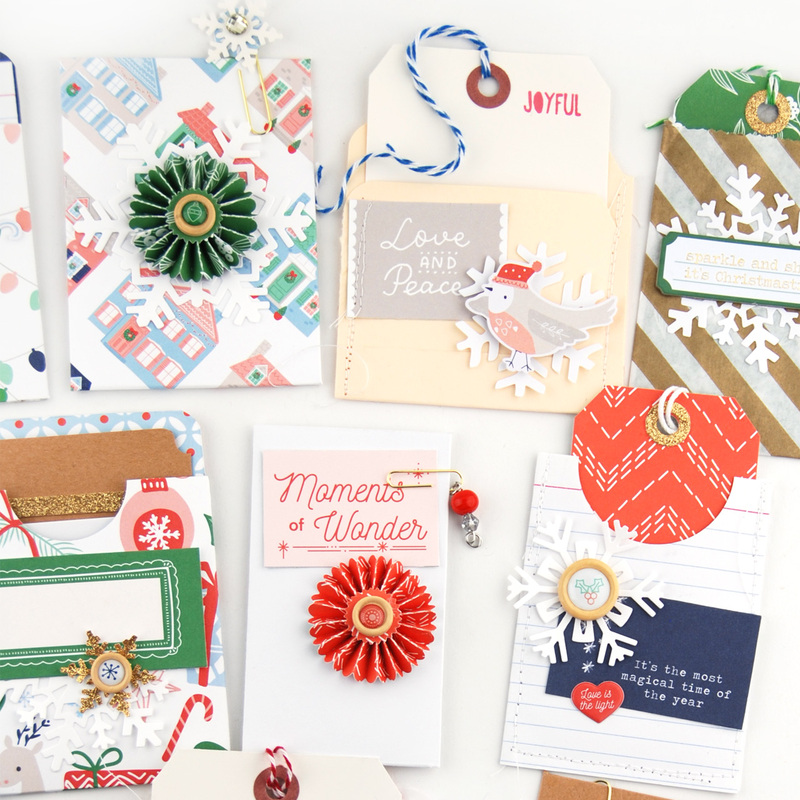 Once I had matched the cut aparts to the pocket or envelope, I laid them all out and then chose chipboard, die cuts, wood buttons, and epoxy stickers to coordinate with the sentiment or them of that piece. 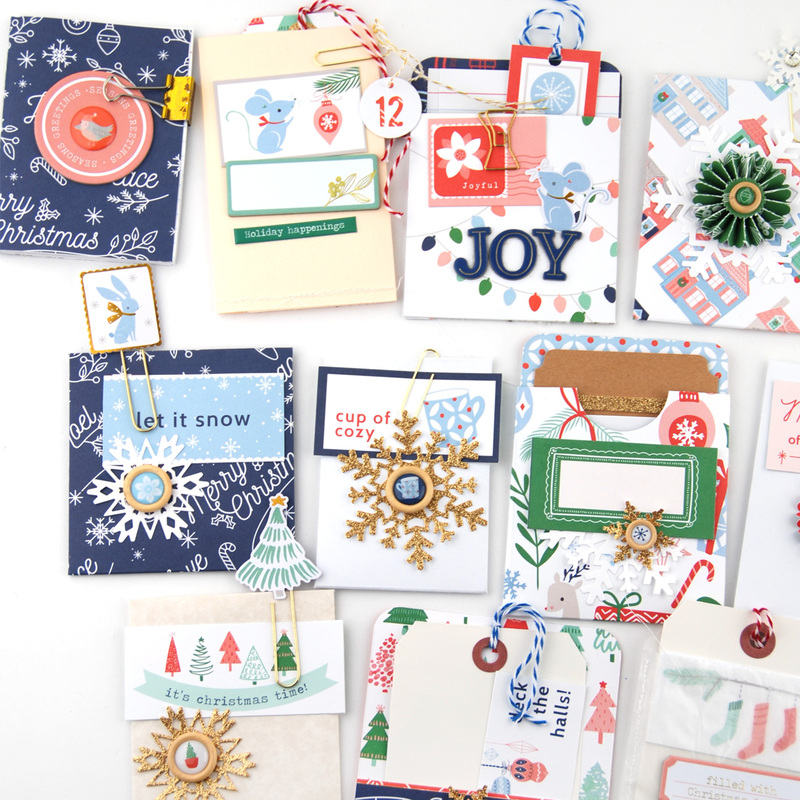 I added in a few snowflakes cut from dies in my stash. I think the 25 tag pocket is my favorite! 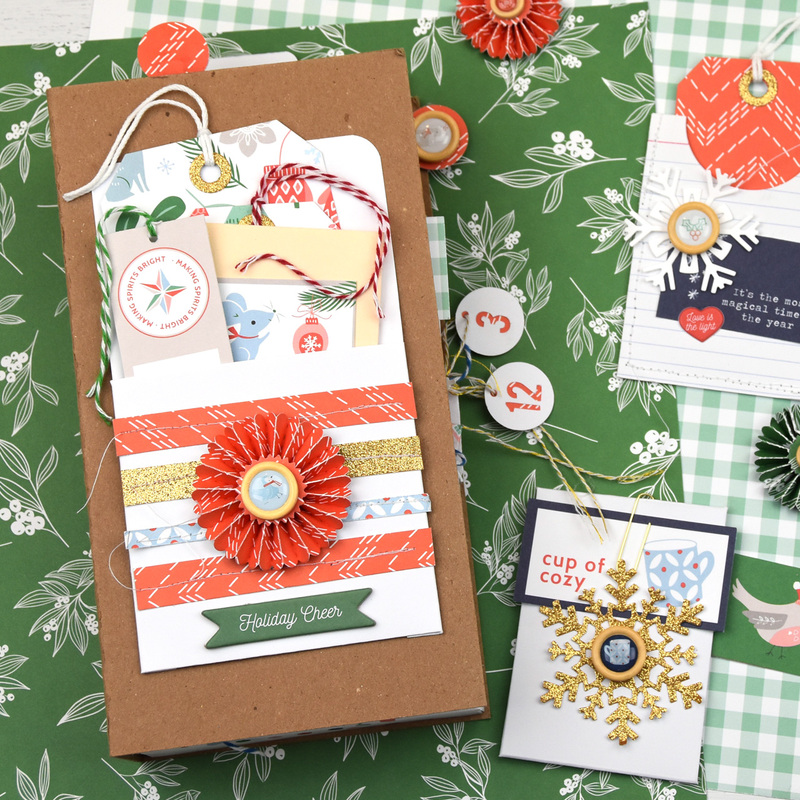 I love the sparkly gold die cut! 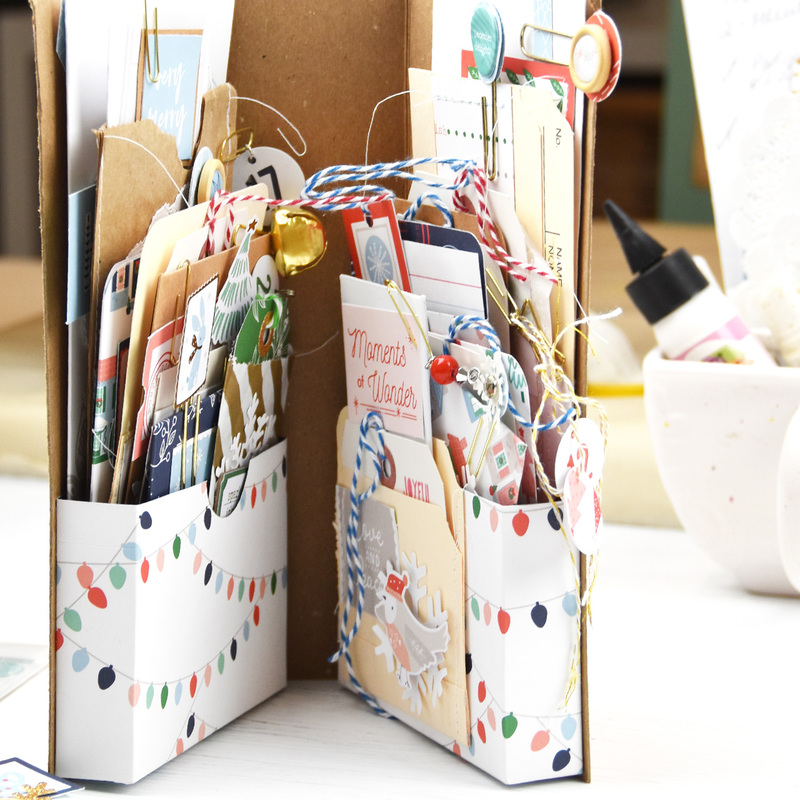 I mixed in paper bags, old envelopes, index cards, glassine bags, a manila folder, and other odds and ends to add texture to the stacks! I enjoy just “making” things. 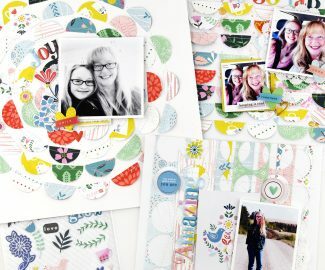 Pinkfresh Studio collections make it easy to mix and match, and everything looks so bright and cheery! I hope you found some inspiration today! 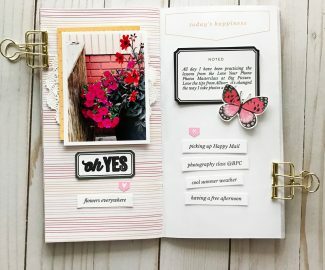 Any of the pockets or envelopes could be used as a card or made to put inside an album, or maybe you’ll make a project like mine! 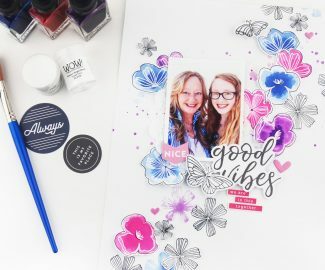 I think it will be super fun to pick out a pocket or envelope on any given day and fill it with lists, notes, photos, and memories. 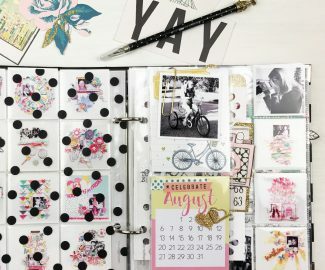 This would make an awesome gift to get someone started on memory keeping and documenting their December!